Finally the Apostle John re-affirms it. Of whom could I truly say it – and of Whom? Holy Spirit you are the One who guides us into all truth. Please guide me deeper into the truth of the love of God for me – and guide my spirit into true love for the Father, the Saviour and you the Comforter, as well as those who are a part of my life and living. Amen. 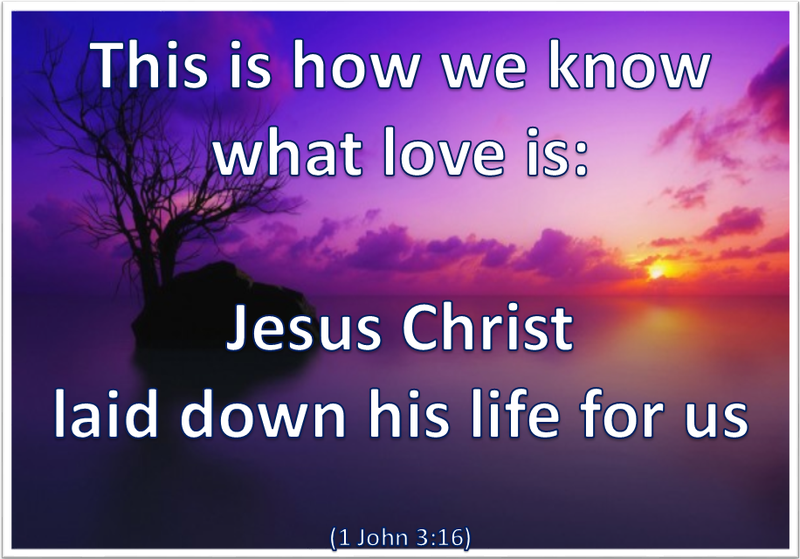 Categories: Christianity, Daily Life, God | Tags: 1 John, Daily Bread, Faith, Jesus, Lent, Love, Scripture | Permalink.